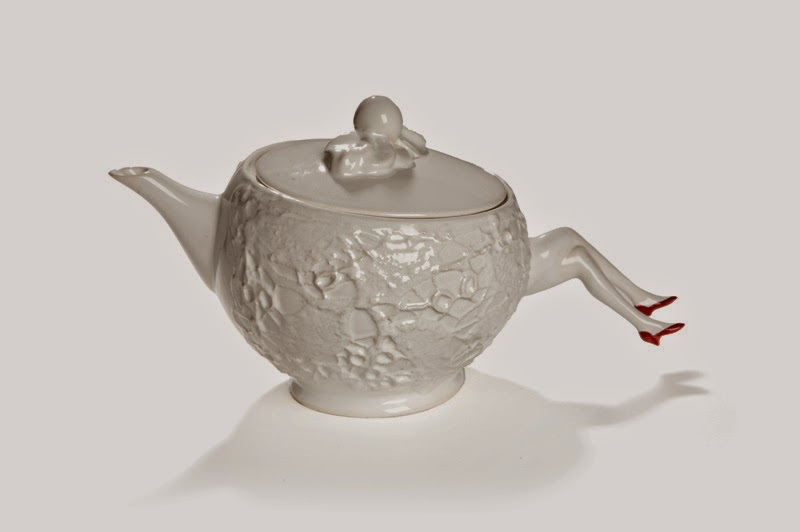 Lucienne's already helped you celebrate Afternoon Tea Week with her brilliant cocktail sweets that make a killer alternative to biscuits, but what's more important to Afternoon Tea than a kick-arse teapot to show off? 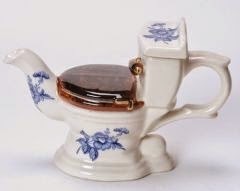 Let's start off by making it clear that teapots don't have to be twee or floral - this one would suit the most masculine of tea parties. From the guy who made his name with the Lionel Richie 'Hello, is it tea you're looking for?' 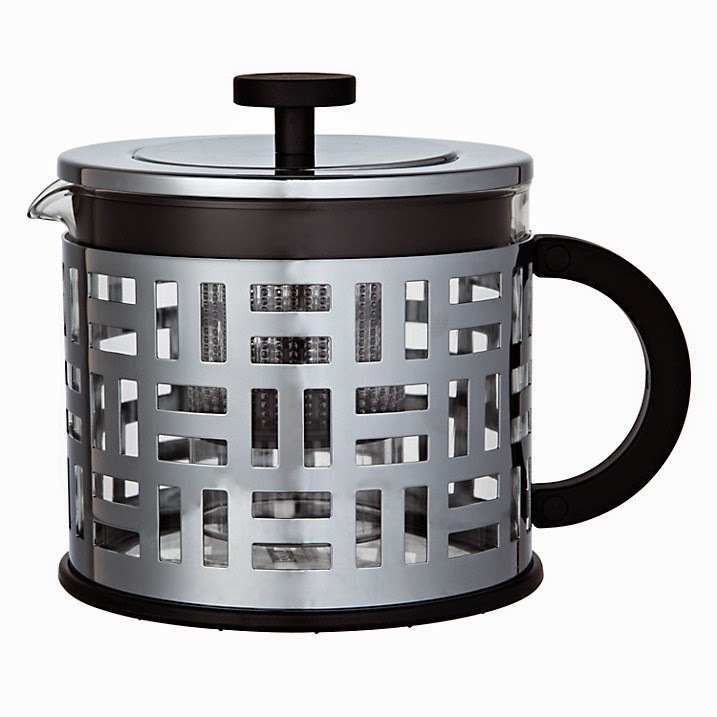 teapot, this shows he's got even better tea puns up his sleeve. Dinosaur teapot = win. 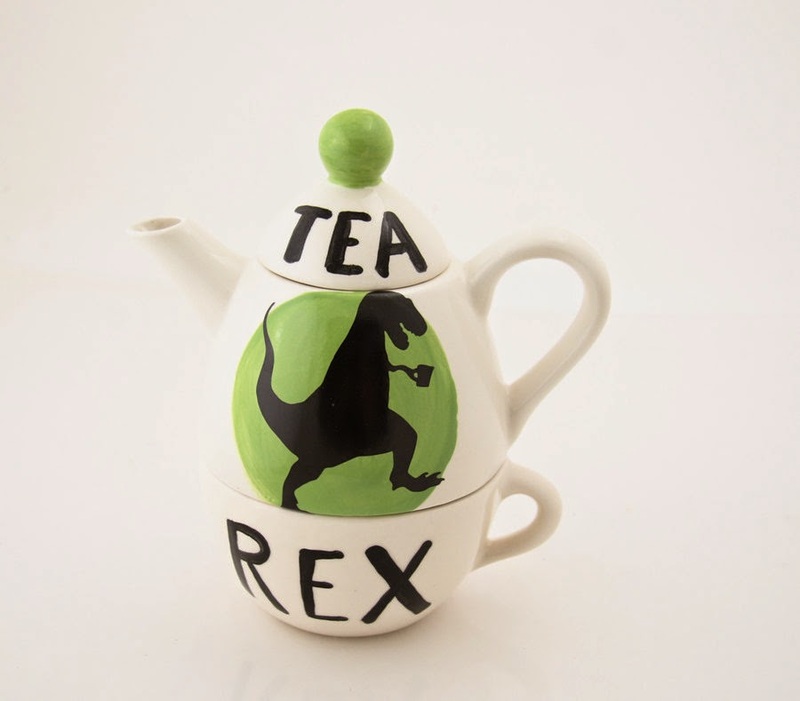 What's better than a dinosaur teapot? 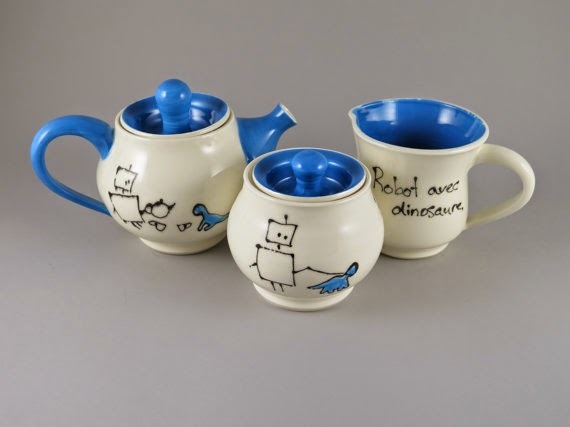 A robot-taking-his-pet-dinosaur-for-a-walk teapot. While on the pricey side, this does include a milk jug and sugar bowl, and is hand-thrown porcelain from a very talented potter in Canada. Because everyone needs a disturbing piece of ceramics in their lives. 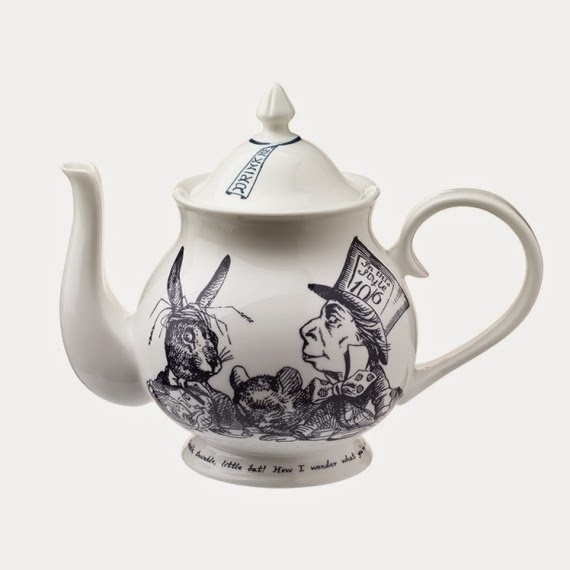 This teapot pretty much sums up the magical connection we have with tea in this country. And the illustration is bloody gorgeous. 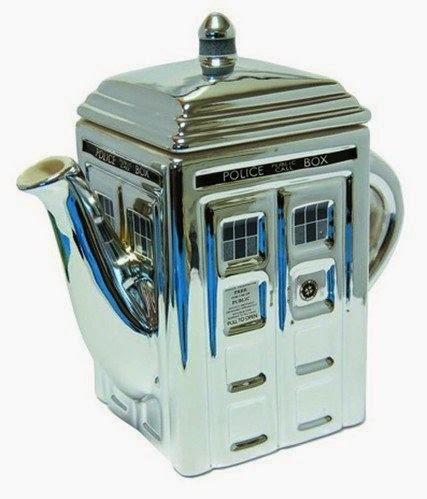 YES THAT'S RIGHT, IT'S A DOCTOR WHO TEAPOT. Endless joy. 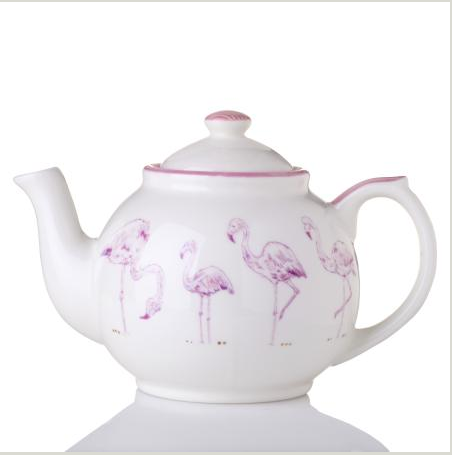 Of all the birds to adorn a teapot, this has to be the best. This company is one of my favourite things I ever found on the internet. They make all manner of crazy concoctions. Piano teapot? Check. Sewing machine teapot? You betcha. Cosmetics table teapot? Well, of course. 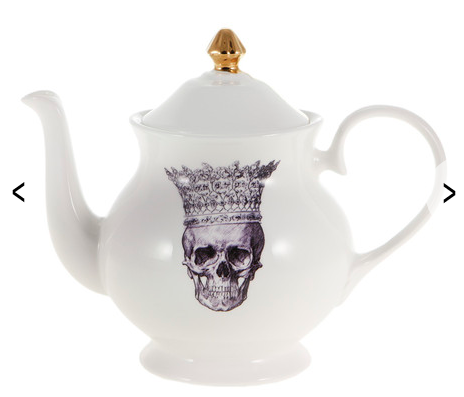 This is one badass teapot. It's also gorgeous. 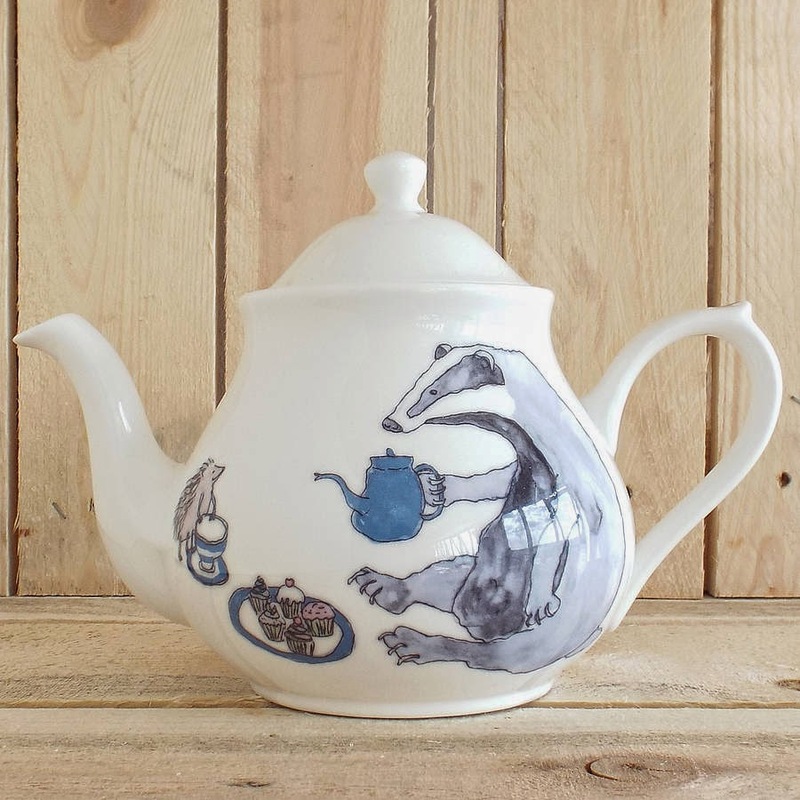 Of all the animals to feature on teapots, I think badgers are my favourite. 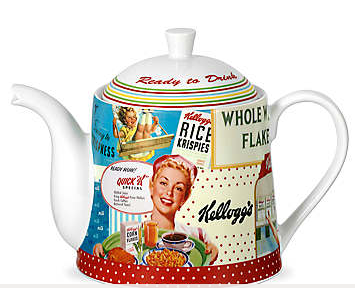 These old designs make me feel all cosy and happy, and so does tea, so it's perfect. 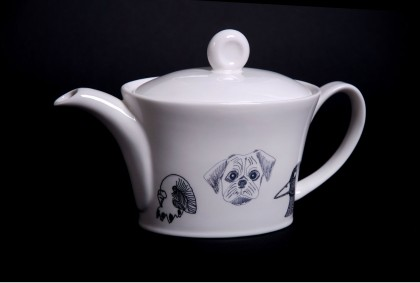 I know a lot of people that are obsessed with pugs at the moment, and frankly this teapot is doing a lot for the reputation of budgies and ducks off the back of that, so we should definitely all buy one. Do it for the ducks and budgies.